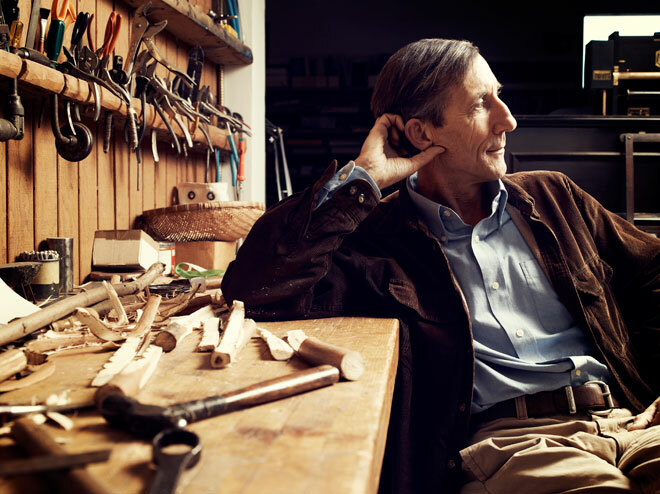 George Dyson grew up playing with spare parts from some of the world’s earliest computers at the Princeton Institute for Advanced Study. His father, Freeman Dyson, was one of the original collaborators with John von Neumann and Alan Turing in building these computers, which gave him an early glimpse into the functioning and future of digital technologies. After realizing that computers were going to, in his words, “take over the world”, Dyson built a treehouse in Vancouver to research and build upon indigenous kayak designs. While working in the wilderness, Dyson learned to track the signs of living creatures, but eventually started noticing similar clues in the digital world. The trail he found led him back to civilization, where he began studying the emergence of life-like systems within computers. By now, organic metaphors have saturated the digital landscape, but Dyson formulated, supported and propagated these metaphors well before they’d entered the mainstream. We have created this expanding computational universe, and it’s open to the evolution of all kinds of things. It’s cycling faster and faster, and it’s way, way, way more than doubling in scale every year. Even with the help of Google and YouTube and Facebook, we can’t consume it all. And we aren’t really aware what this vast space is filling up with. From the human perspective, computers are idle 99 percent of the time, just waiting for the next instruction. While they’re waiting for us to come up with instructions, more and more computation is happening without us, as computers write instructions for each other. And as Turing showed mathematically, this space can’t be supervised. As the digital universe expands, so does this wild, undomesticated side. 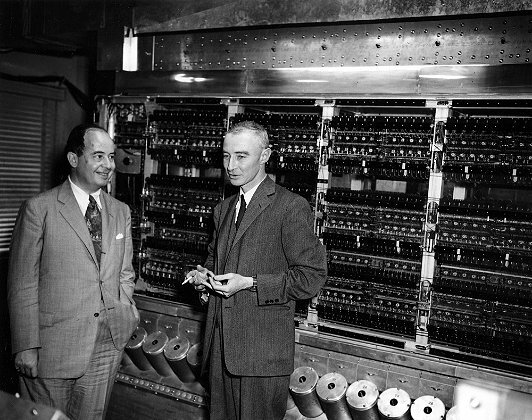 Photo: John von Neumann and J. Robert Oppenheimer in front of MANIAC, the computer that was built at the Institute for Advanced Study during Dyson’s childhood. Photo Credit. Like our own universe at the beginning, it’s more exploding than expanding. We’re all so immersed in it that it’s hard to perceive … You can’t predict how software will behave by inspecting it. The only way you can tell is to actually run it. And this fundamental unpredictability means you can never have a complete digital dictatorship with one government or company controlling our digital lives—not because of politics but because of mathematics. There will always be codes that do unpredictable things. This is why the digital universe will never be a national park; it will always be an undomesticated, unpredictable wilderness. And that should be reassuring to us. George Dyson will discuss the digital universe and how it affects our notions of time on March 19th at the Herbst Theatre on Van Ness. You can reserve tickets, get directions, and sign up for the podcast on the Seminar page. If you are a member, please check your email for special ticketing instructions.